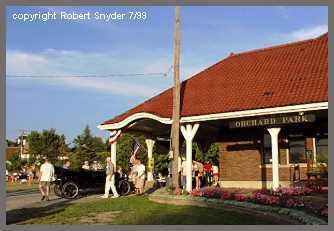 The Orchard Park railroad depot at Highland Avenue and South Lincoln Street is not your average small town railroad station. Built in 1911 by the Buffalo, Rochester Pittsburgh Railway, it was uncommonly substantial thanks to the railway president, Harry Yates, who lived in the village of Orchard Park. 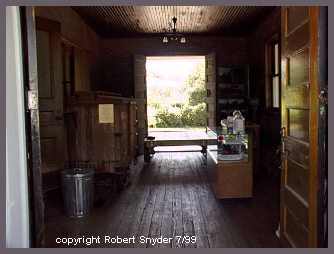 The depot is an exact replica a stone H.H. Richardson depot in Auburndale, Massachusetts. 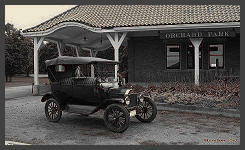 The only difference is the Orchard Park depot is made of "Tapestry Brick". 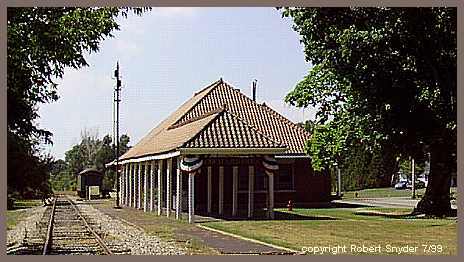 It is uncommon for a village this size to have a depot of this stature with a freight house, 100 feet away. Mr Yates, spared no expense, taking care of his little village. The passenger depot features separate men's and women's waiting rooms, wooden wainscoting, exposed wooden ceiling beams and most of all the original wooden benches. The Buffalo, Rochester & Pittsburgh Railway was taken over by the Baltimore & Ohio Railroad in 1932 and later absorbed into the Chessie System in the mid 1970's. 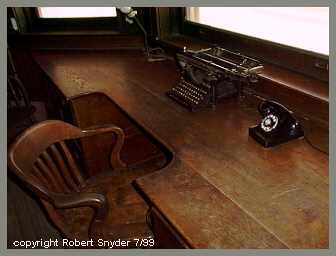 Passenger service ended in the mid 1950's, but a freight agent was on duty until 1979. 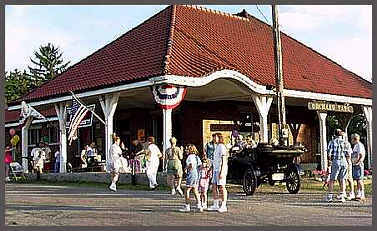 Developer Edmund F. Burke of Burke Realty and Construction Company, donated the depot to the Society in 1990 after he was unsuccessful in getting village permission to convert the building into a restaurant. Restoration to date is about 90% complete, and is open to the public during the summer every Saturday from 9am - 1pm until Labor Day. 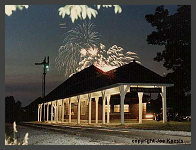 Many village civic organizations also use the depot as the center for their functions. Events such as the Orchard Park Garden Club Sale, Christmas in the Park, Business Functions and the annual Ice Cream Social, give the public a chance to enjoy a little railroad heritage and for the Society to show off their work and equipment. 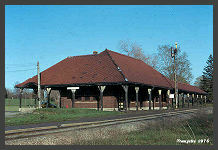 In addition to restoring the passenger depot to its 1911 as built stature, the Freight House has become the site for the Societies Museum Store and Archive Center. This will provide the public access to the extensive historical collection holdings of the Society. Climate control and fire protection will ensure safe, long term storage of rapidly aging railroad related artifacts and documents.